Run this checklist every week to make sure that your computer maintenance schedule keeps your equipment alive! From catching up on the latest in social media or news, to running your entire company, computers are here to stay. Incredible amounts of work and sensitive data is carried out by these machines every day both automatically and through human manipulation. So what would happen if your computer broke down right this second? Considering the mass hysteria which occurs when a large-scale computer failure such as Y2K was found, likely nothing good. The amount of time spent replacing the unit, or travelling to a working computer could seriously affect a person or company, and that's before factoring in the price of repairs or a new computer. However, we here at Process Street love finding little tips and tricks to maximize your success and minimize the impact of when the proverbial hits the fan. 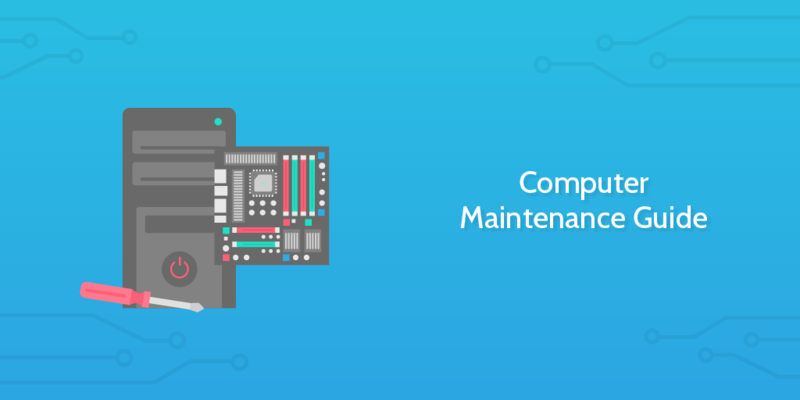 By running this computer maintenance guide every week, you can negate these potential disasters as much as humanly possible; you'll be taken through the best method for keeping your machine alive, from updating your software and security, to cleaning the dust out of your system (literally and figuratively). Read on if you're ready to improve the lifespan and performance of your computer for free! Before we start with the meat of the process, you need to ensure that all vital information is recorded in the form fields below for later reference. This is primarily to ensure that you have a consistent record of when each computer last had maintenance run, along with the person who was responsible for that session. If you wish to record more or different information, just add or edit the appropriate form fields. The first step is to update your system packages. You'll then want to perform a system reset to make sure all updates have been initiated. As well as the operating system, you should make sure the following are also up to date and check them off in the form field below. It's pretty easy to update your macOS system. We've outlined all of the steps in the sub-checklist down below, just check off each step as you go. If you do not wish to update a specific item, you can also choose to update your programs one by one instead. If your machine is running pre-Windows 10, all that changes is your navigation to Windows Update, which should be available through either a glance at the program list from the start menu, or by typing "Windows Update" into your search bar. Next up in the maintenance blitz is the task of clearing out unnecessary browser files. We recommend that you at least clear your browsing history, download history, cache, and cookies for security best practice, and to ensure that nothing is clogging up your system or flagging you as a target for spam. This will also help to improve the security of your system by getting rid of temporary files created by the sites you visit, but this will vary depending on your situation. The method to clearing your firefox files is simple; the whole process is clearly outlined in the sub-checklist below. Most browsers have a similar method to clear their files, but if you're uncertain then look up the method to your particular browser. For security reasons, we'd recommend you to at least clear your cookies and cached files, so that you're not at risk of being a spam or phishing target. Now you're tasked with the clearing out of unnecessary browser files. 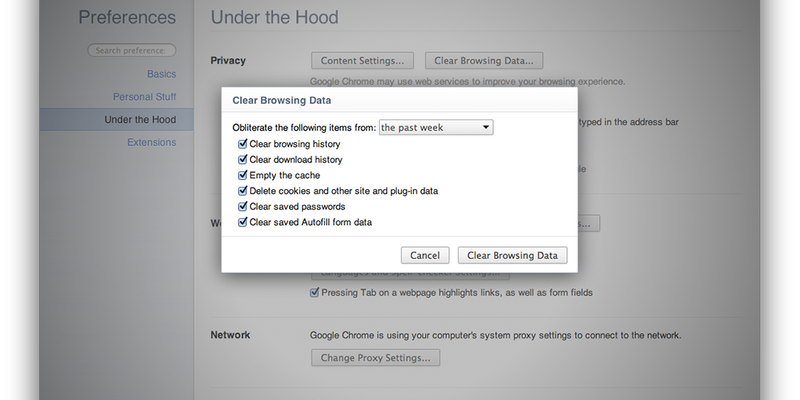 For security best practice, you should at least clear your browsing history, download history, cache, and cookies. This is to ensure that nothing is clogging up your system or flagging you as a target for spam. Select "Clear History and Website Data..."
Have you ever had the experience of sitting down to work in the morning, fresh and raring to go, only to find yourself stalled for 30 minutes as you wait for your computer to load up? You'd be surprised how much of that can be cut down by simply configuring your startup programs. Macs usually run programs which boot us when you log in, rather than when the system starts up - if you can't find the program you wish to deactivate in you Login Items, read this post by Joe Kissell to delve into the older Startup system. In Windows 10, you can choose your startup programs from your Task Manager. Either right-click your Start icon and select Task Manager or just hit Ctrl+Shift+Esc (a handy tip for if a full-screen program becomes unresponsive too). From here, you can change the status of a startup program (enabled or disabled) by right-clicking on the item within the Task Manager. Change the status to "Disabled"
Your specific antivirus software may vary, but whatever it is, you should perform a complete system check. You can use the popular Linux-based anti-malware software ClamAV if you don't already have anything installed. “Scan files beginning with a dot"
“Scan files larger than 20 MB"
Now you're ready to start the system scan. Select "Filesystem" from the main menu if you want to scan the whole system. Otherwise, specify which directory accordingly. ClamAV will give you the option to either delete or quarantine the threats it has found after the scan is complete. Make sure you're not interfering with critical system files before you delete or move anything. Macs, and the macOS operating system they use, contain the security vulnerabilities as real as any Windows machine. As such, you should be running regular anti-malware scans on the system. With whatever antivirus software that is installed on the machine, perform a full system check. After the check, you'll want to deal with any threats the software has detected by removing or quarantining them. Next on our list of security measures in the IT support process to open and run whatever antivirus program is installed on the machine. Malwarebytes Anti-Malware is completely free and does the job splendidly; head to their site and download it now if there's nothing else installed already. Once you have Malwarebytes (or your program of choice), run it and make sure that your entire system is included in the scan. This can also take a hefty chunk of time depending on the size of your system, so make sure you factor that in and inform your client or whoever is waiting on the maintenance. Finally, erase or quarantine any threats which are detected. Computers consist of working hardware parts, and as well as their software components, the hardware must be regularly checked and inspected for faults or irregularities. Using the sub-checklist in this task, inspect each component carefully and record what you find across the various form fields. What damage has been observed to the computer? If you've got faulty or damaged parts, you'll need to make sure they're replaced ASAP. Even if you're doing the repairs yourself, you'll need to let management and accounting know about the parts needed and the inventory updates. We've planned ahead and done the dirty work for you - the results of your maintenance report so far have been collected together in this useful little email widget. All you need to do is check that the information there is all correct, and hit "Send". It's easy to forget about the cleanliness of two of the most important and heavily-touched parts of the computer system: the keyboard and mouse. Both of these components can be easily cleaned with compressed air. Make use of the fine nozzle on the can to get into the nooks and crannies of your keyboard and mouse to blow out any residing dust or grime. Laptops can be especially prone to gummed-up keyboards due to their portable nature, so take extra care if cleaning a laptop keyboard. Whatever you do, never use a vacuum cleaner to clean your physical components. The potential damage to a keyboard or mouse is small, however it's best to break the habit before moving on to cleaning your tower, as the static generated by a vacuum cleaner can damage your electrical components. Dust can seriously affect the performance of a computer, especially if it clogs the fans. Towers or laptop cases can be easily dusted down with a dry, clean cloth, but remember to stay away from any electrical components to avoid static damage. If you can see that your desktop fan is gummed up with dust, spray a little compressed air to dislodge it (after making sure your machine is off first). 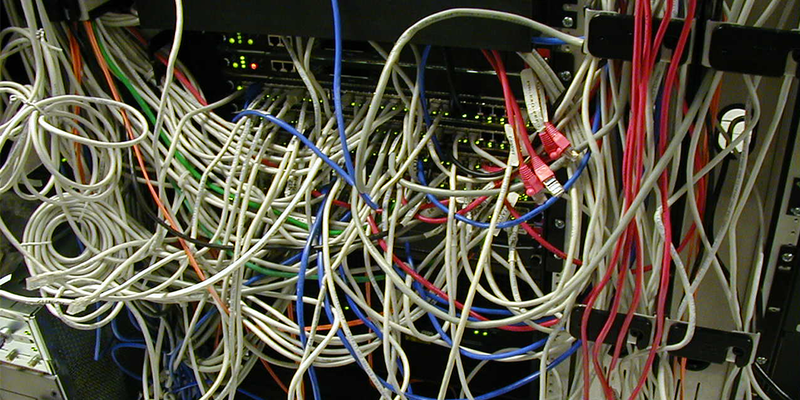 The final stage in the physical side of your computer maintenance is to organize the jungle of cables going to and from your machine. Use velcro ties to tie your cables together and keep them out of the way. If your desk has holes for your cables to go into you can take this one step further and tie them together inside your desk to hide them from sight. This will both make your workstation look a lot better, and make it far less likely for you (or anyone walking near your computer) to trip over a cable and break either a piece of equipment or a bone. It's always a good idea to factor in and run your disk cleanup program as part of a routine maintenance. Disk cleanup, when not performed regularly, can take a while to complete, but you can keep the scan time down to a minimum by running it every time you're doing regular maintenance. This will essentially remove all junk and temporary files on your computer, akin to earlier when we deleted our browsing history and cache. To perform a disk cleanup on Windows, start by searching "Disk Cleanup" in the Search Bar and clicking the resulting program. Select the drive you wish to clean up, then click "OK". Disk Cleanup will then run on your chosen drive, presenting you with the options of what you can delete. Defragmenting your drives isn't something the average user thinks to do, but can pay huge dividends if done regularly - it's time to make sure that you're not the average user and defragment your drives. You can defragment your drives on Windows by typing "Defragment and Optimize Drives" into your search bar and selecting the resulting program. With the program loaded you need to analyze each and every drive on the list by selecting it and clicking "Analyze". If any come back with the slightest level of fragmentation, that particular drive will need to be optimized (which is another way of saying "Defragmented"). Type "Defragment and Optimize Drives"
If the results indicate the drive is fragmented, click "Optimize"
This one is hardly rocket science, but remembering to empty the recycle bin regularly can work wonders for keeping your machine running smoothly. Emptying the recycle bin is one of the few processes that is pretty much the same on nearly every operating system with a graphical user interface. The only difference is what the different systems choose to call the icon. For Windows, it's "Recycle Bin", for macOS users it's "Trash", and for Linux (Ubuntu) it's the "Rubbish Bin". Just right click on your recycle bin icon from the desktop and select "Empty". Every little helps, and even when not in use an abundance of programs can clog up your computer's processing power - now you've got to uninstall any programs which aren't used or needed anymore. Now just select any package you wish to be rid of and click on "Mark for Removal". To remove an app from your Mac, all you need to do is drag the application in question to your Trash and then empty the bin. From this screen you can sort your installed programs by criteria such as date installed, size and when it was last used. All that's left is for you to restart your computer one final time to apply any necessary updates or configurations. As well as finalizing any updates or software changes, this will also provide hard evidence as to the effects of your maintenance efforts. For example, after this final reboot, pay attention to your new system boot time; if you have disabled any number of startup programs or even just removed a chunk of temporary files, you should be able to see a noticeable improvement already in the setup time. Congratulations, your routine computer maintenance checklist is complete. Heliode - Howto: Backup and restore your system! Chris Hoffman - Howto: Backup and restore your system!